SKECHERS is originated from South California (slang “Energetic Youngsters”) from Manhattan Beach! And having 21 years of heritage, SKECHERS designs, develops and markets performance shoes for athletes and active individuals, and lifestyle shoes for every age and demographic encompasses more than thousands styles omg!!! In addition to its heritage lines like SKECHERS Sport, SKECHERS USA, SKECHERS Active, SKECHERS Cali and SKECHERS Kids, the company has broadened its offering with an innovative performance division that includes SKECHERS GO series, and also BOBS, which is a SKECHERS charity footwear brand that donates a new pair of shoes to a child in need for every pair sold! How sweet! I feel it's really awesome because every pair of shoes you buy, you're like helping a child that is in need at the same time! Also not forgetting that they also have a dynamic collection of kids’ soles known for their wildly fun features and beloved characters!! I've seen the kids collection and it's super cute omg. It lights up! Anyway, I woke up super early in the morning the other day and head over to SKECHERS Jem for filming with Rachell and it was so fun!!!! 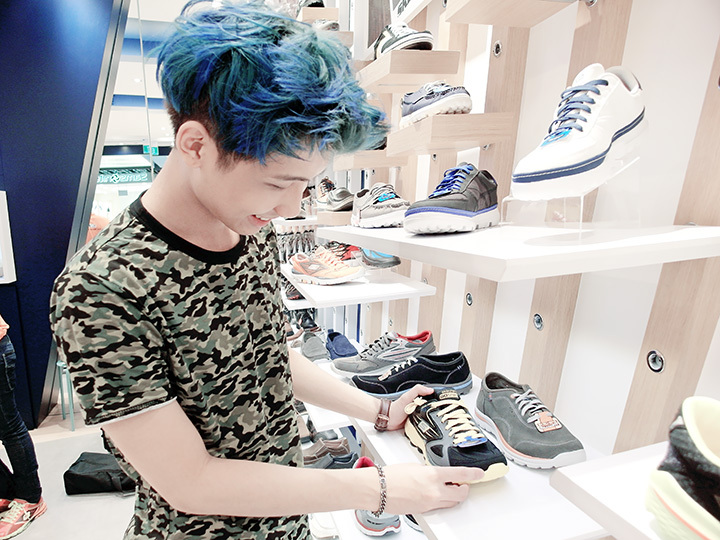 We had loads of fun trying on their shoes and I was awed by the variety of selection of shoes they have! Although I was sleep deprived, the whole day was filled with fun and laughter , and I didn't really feel very tired at all!! 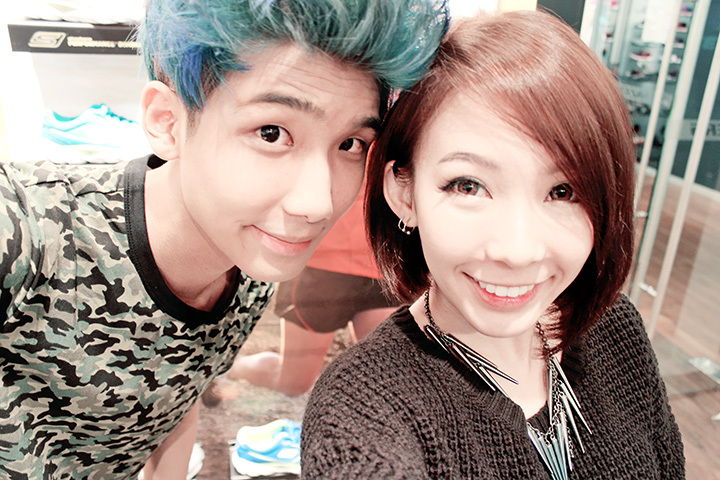 Thanks to the SKECHERS team, filming crew and also Rachell for perking me up with so much fun stuff and talks hahaha! Alright! Gonna flood you guys with all the pictures now!!! With Rachell while we are filming our introduction and keep a look out for our video at the end of the post! Love this shot cause it's candid and we both look very happy here! Here you have me checking out their shoes! To be honest, I didn't really know SKECHERS have so many different kinds of footwear that is suitable for various and almost any occasions! 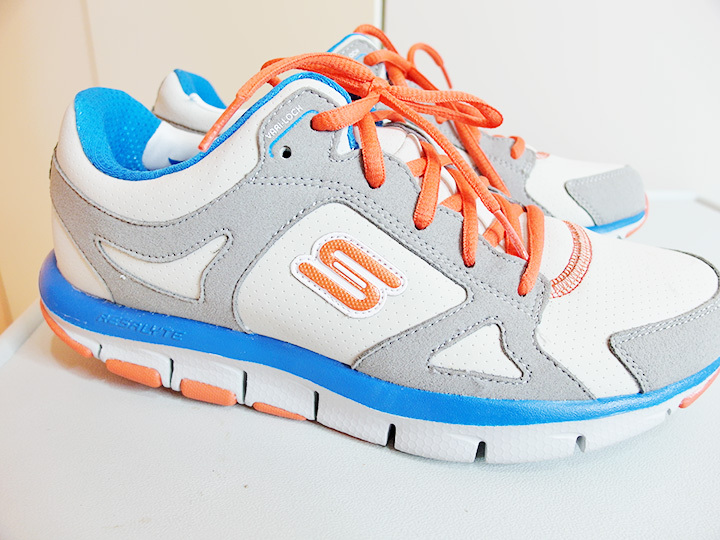 I always though SKECHERS are more towards a “sporting” brand, but SKECHERE do have lifestyle footwear too! Bet some of you didn't know too right! Trying out SKECHERS Men USA sneaker! All of their shoes are super comfortable, seriously! 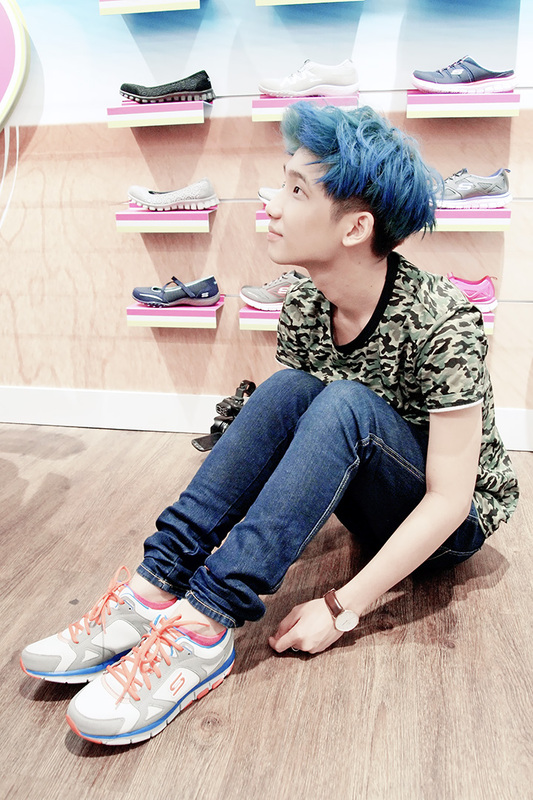 Okay, last picture of me posing with their shoes then is back to filming again! While discussing our lines! Look serious anot me lololol! Another exclusive "behind the scenes" shot of me and Rachell taking selfie hahahaha! 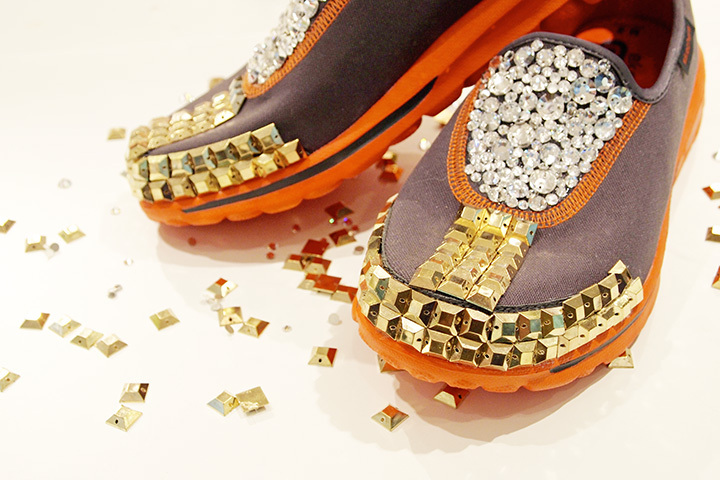 Yes we are going to design our very own shoes and I've chosen GOwalk to design because it's light in weight, super comfortable when I try on and also it has my favourite orange colour on it! Another awesome thing is that, there is alot of space for me to decorate it!!! Can't wait to start!! 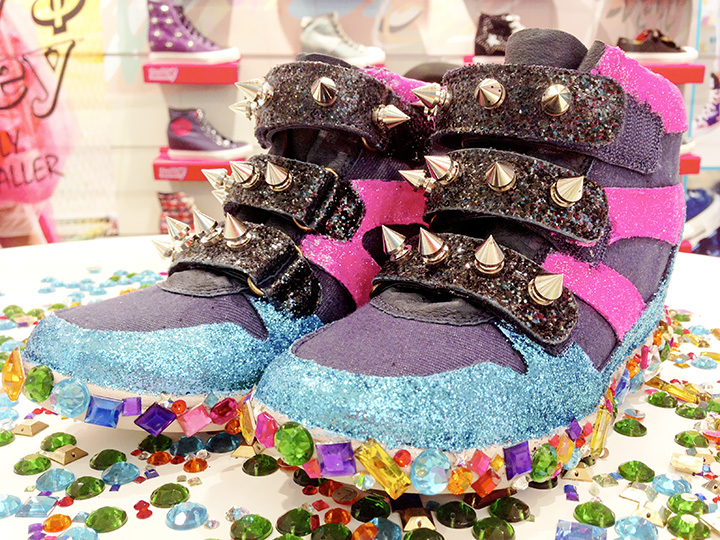 Yay getting our hands on to decorate and accessorise our very own SKECHERS shoes!!!!!!! 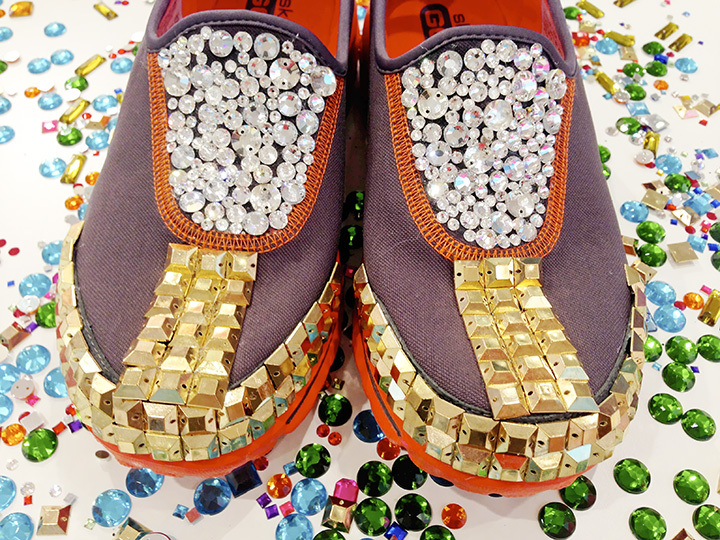 The top 2 materials that poped in my mind are definitely CRYSTALS and STUDS! I would wanna design something that I would really wear and not just for the sake of designing! It's quite exciting when I know about this, but at the same time, it's also scary because I don't really do DIY alot so I'm kinda worried that it might turn out pretty horrendous lololol! Trying to keep things simple, so just crystals at the top and some studs at the front/side/back! 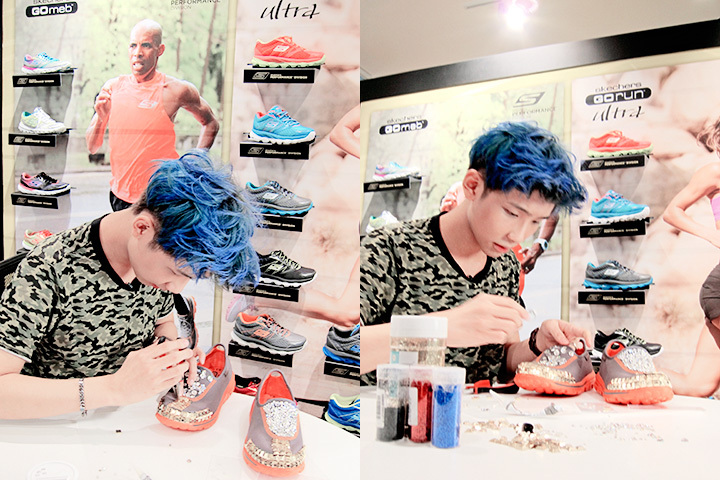 Look at my serious face while decorating the shoes hahahaha! Sticking the crystals on is a more tedious part than doing the studs because it's always very hard to pick and stick them! Also because they are smaller and in different sizes! And I'm finally gonna complete soon!!!!!! Sticking on the one last crystals and we are done!!!!!!!! Top, front and back view of the shoes!! 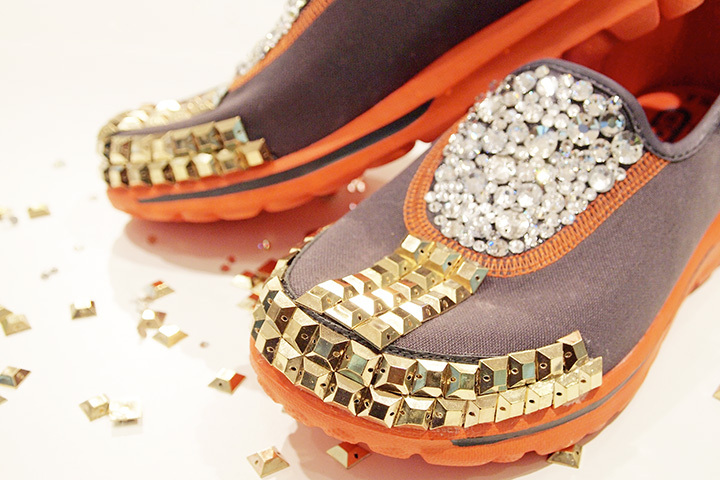 I really like the outcome of the GOwalk shoes that I designed, it's something that I would wear! Would you buy this pair of shoes if it's on sales? Hahahaha! Close up close up!!! So pretty!!! 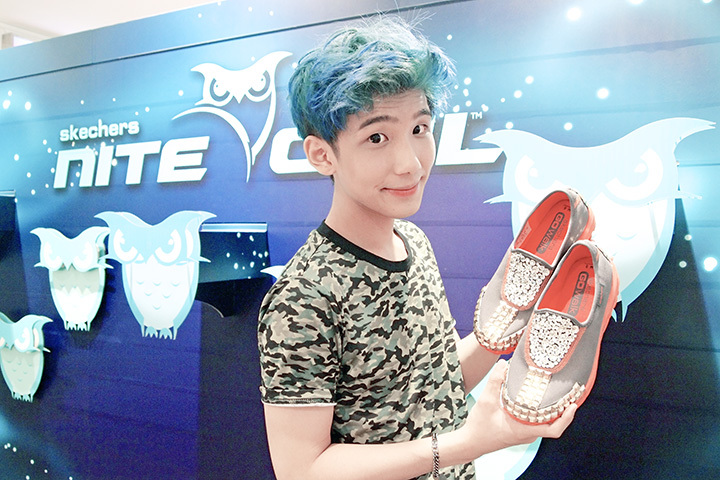 Me with the SKECHERS GOwalk shoe that I've decorated!! 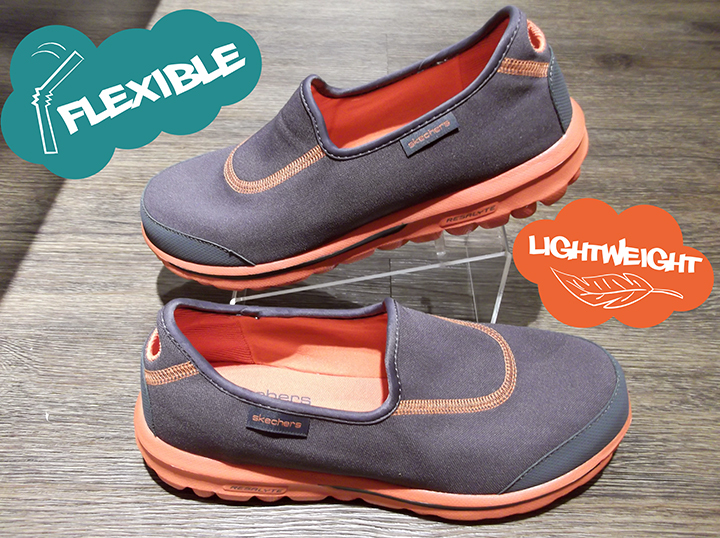 Totally love SKECHERS GOwalk cause it's super comfortable as well! It's very light and it feels like I'm not wearing anything at all! While waiting for Rachell to finish decorating her SKCH +3 shoes! 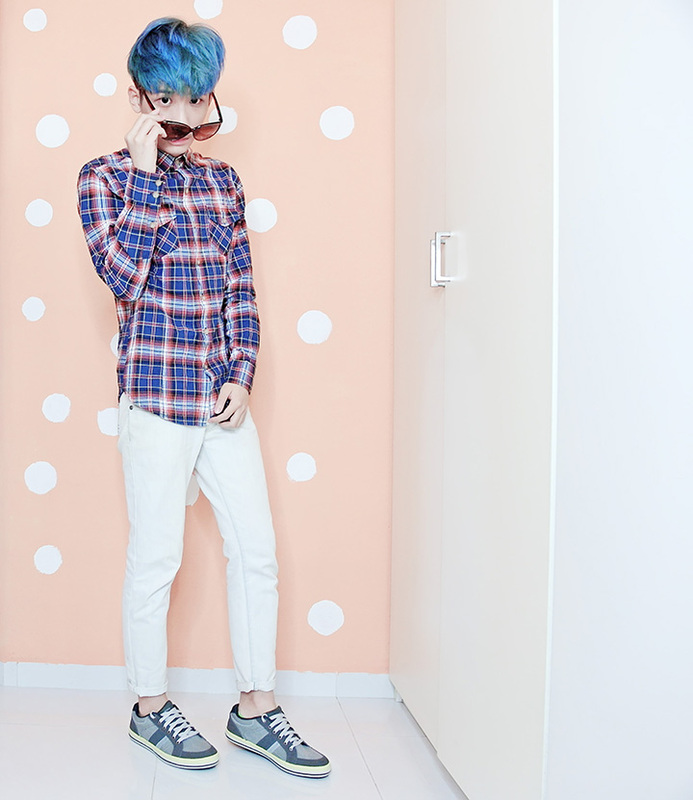 Me with SKECHERS LIV sneaker! And this is Rachell's SKCH +3!! So glittery!!! 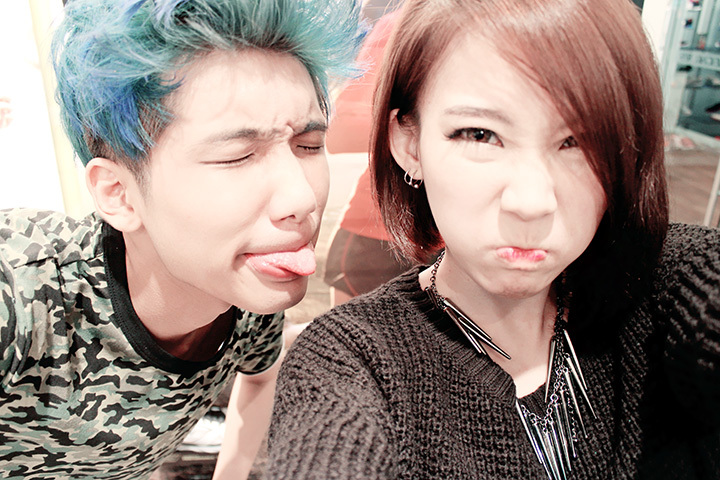 I think both of us really do quite well leh! Hahaha! Selfie with Rachell before we leave and head home!!! 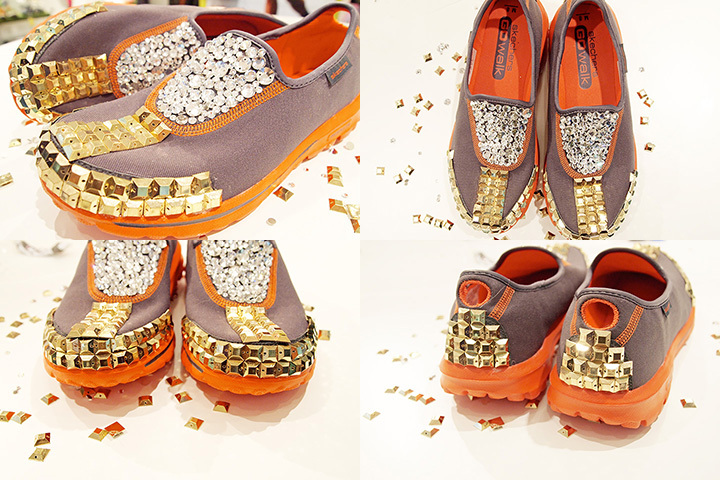 All you have to do is to simply blog and show how you would style your favourite pair of SKECHERS shoes! 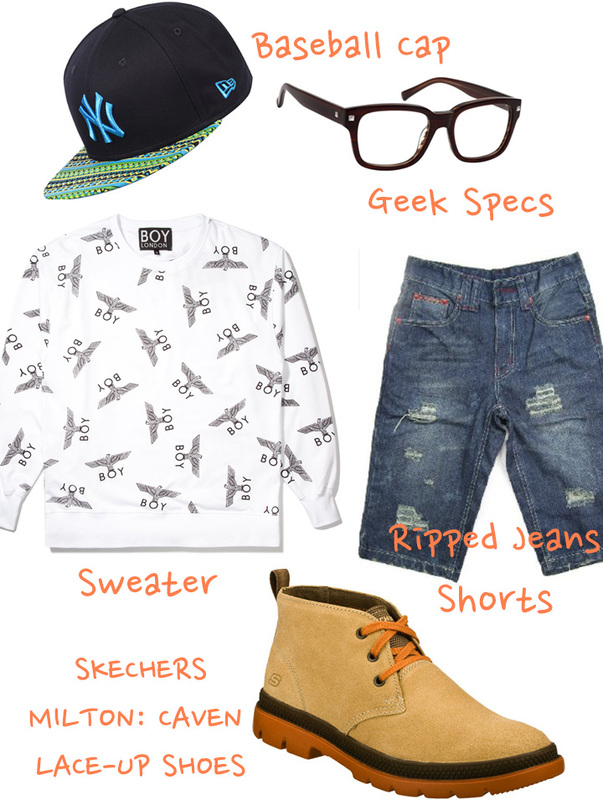 Just complete your outfit with any SKECHERS footwear and create looks from your closet! You can choose one or more to mix and match with your daily outfits and there is 5 pairs (each worth up to $169) to be won each month!! NEED HELP??? To help guide you guys for this contest, here's how I matched some of my favourite SKECHERS footwear with my current daily outfits that I have for different occasions! 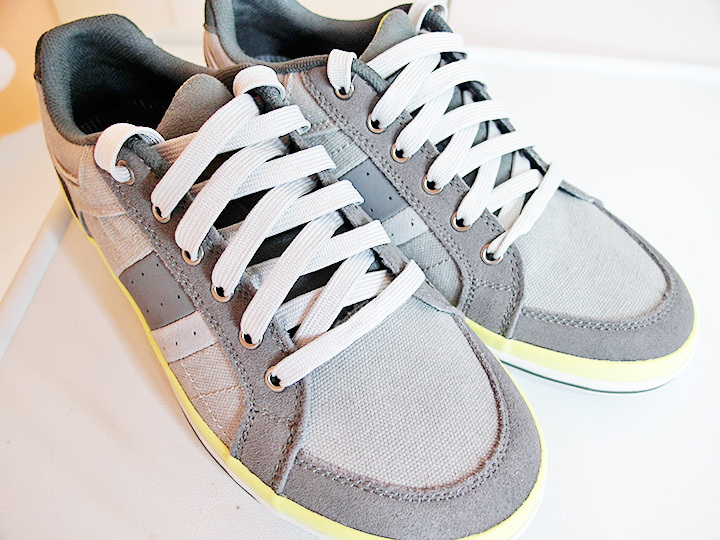 This pair of shoes is in soft suede and with woven canvas fabric! It is a lace up sporty casual oxfords with stitching and overlay accent that I feel it's really suitable for causal wear! 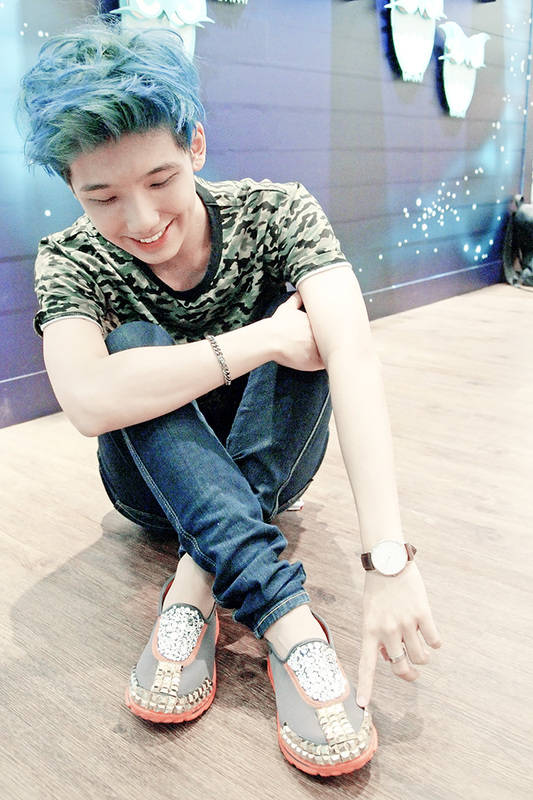 Wearing this pair of SKECHERS Diamondback; Boren shoe!! SKECHERS GOrun Meb speed is the official shoe of America's top marathon runner Meb. This running shoes is built for competitive racing and designed for speed using their most advanced innovative performance technologies. Lightweight, good for running! 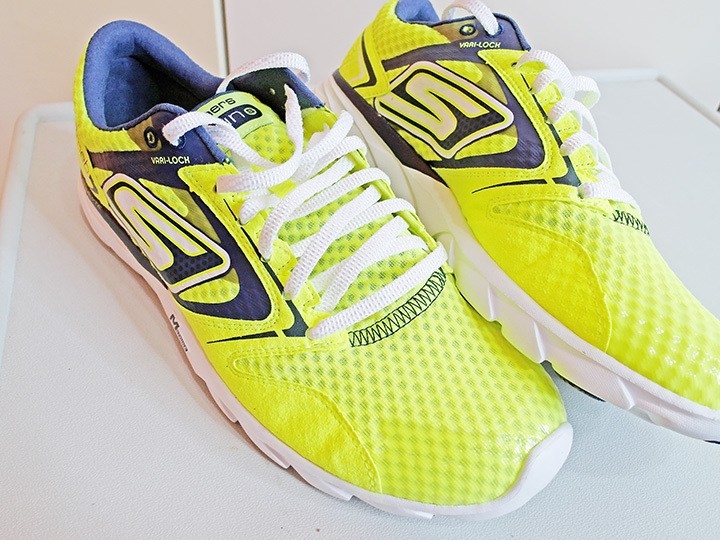 I'm just gonna pair this SKECHERS GOrun Meb speed with my usual running attire! 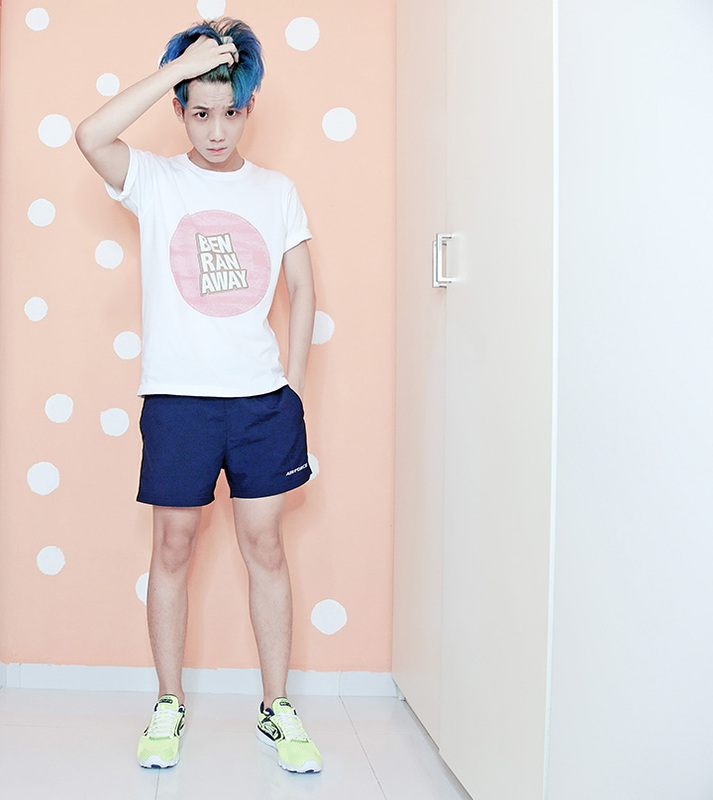 Wearing my Airforce shorts and our very own #BenRanAway tee shirt! 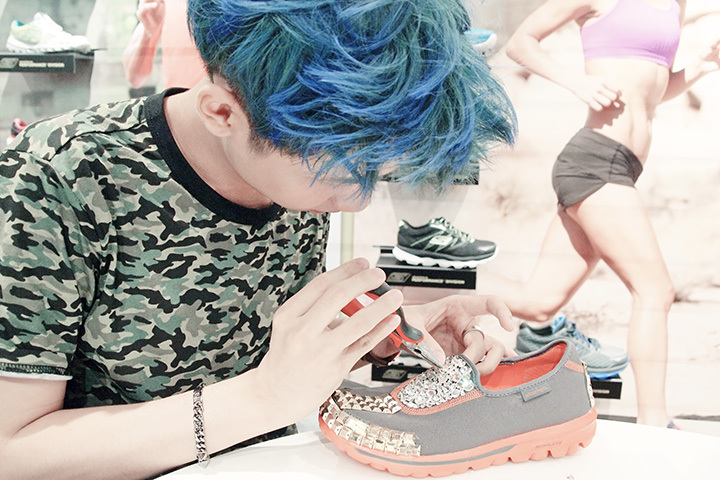 Love how striking and bright the colour of the shoes is! 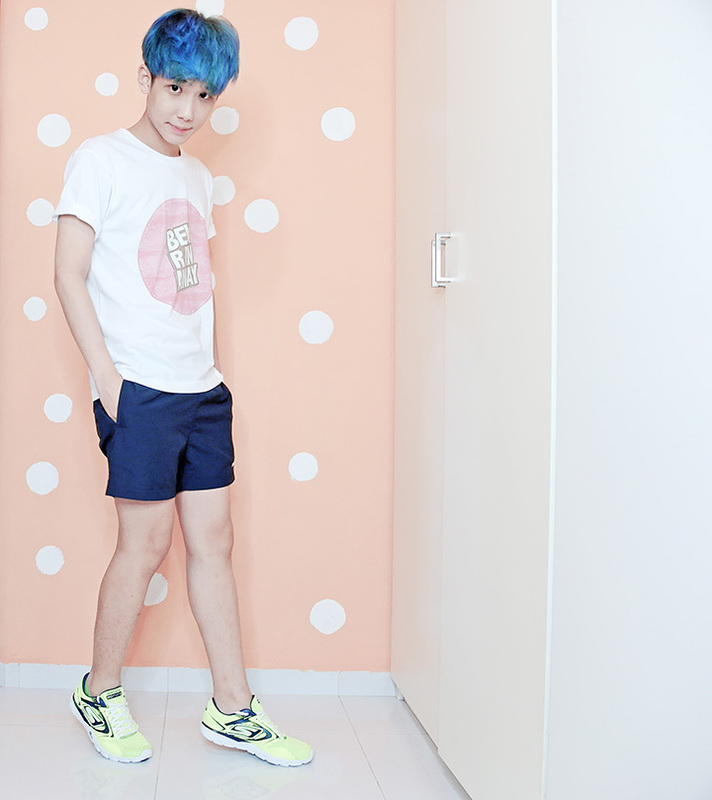 Sporty look with SKECHERS GOrun Meb speed! With the diagonally curved bottom of this light weight athletic shoe, we can then experience the intuitive motion with natural stride technology! It can help correct walking posture too! I really love this pair of shoes because I find it easy to match and look good with just a simple pair of jeans and a tee shirt! And for me, I'm gonna match it with a colourful graphic tee with jeans! Wearing the shoes, LIV by SKECHERS! It's comfortable and perfect for days when we are lazy and just wanna dress down and wear a pair of slippers to nearby places! 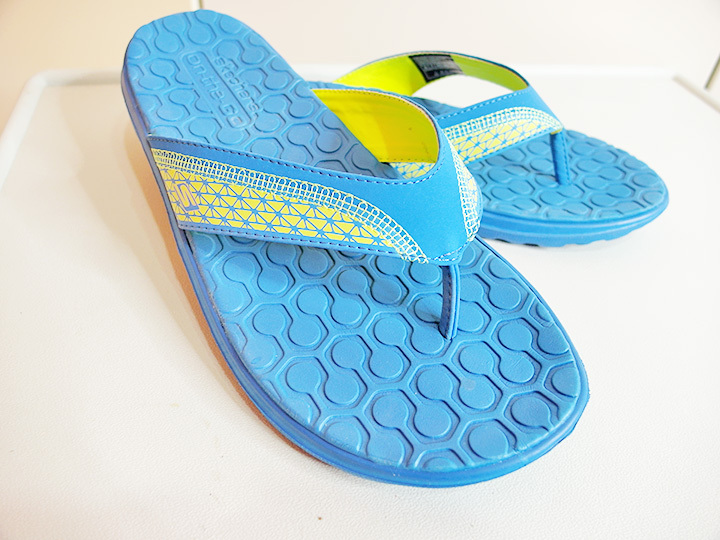 And this slippers also comes in black colour too! I'm so gonna match it with a simple black shorts and a tee shirt! Just like how many of us would dress to nearby places or if you're feeling lazy and just wanna wear comfortably out! Wearing their On The Go sandals, because sometimes we just wanna dress down! It is distressed oiled leather upper in a lace up casual dress mid high top oxford with stitching and overlay accents! Nice right! 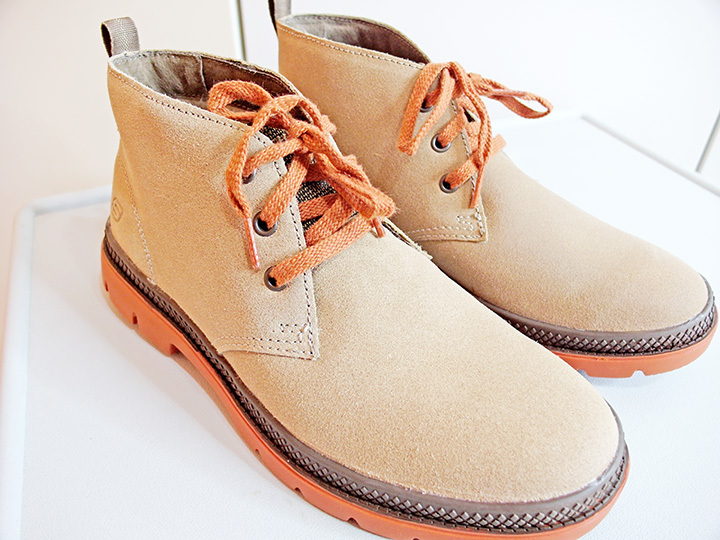 My friends (girls) also always buy this kind of men's shoes to wear too! 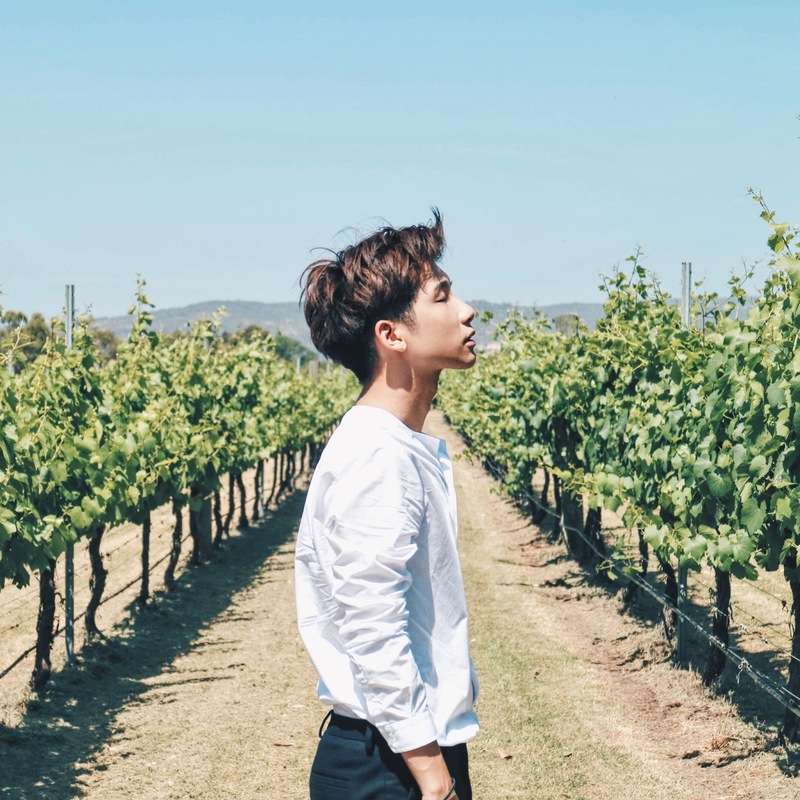 Actually I feel it can be matched and pair with either jeans or shorts but for myself, I always like to pair this kind of high cut shoes with shorts but it also goes very well with long pants too! I think it can match well with both! I'm thrilled to share that my blog readers will be able to enjoy 15%* off regular-priced of 10 various style of shoes below. 5 each for guys and 5 for ladies! To enjoy this promotion, you just have to quote my name "Typicalben" when you purchase your items. Hurry up, while stocks last! 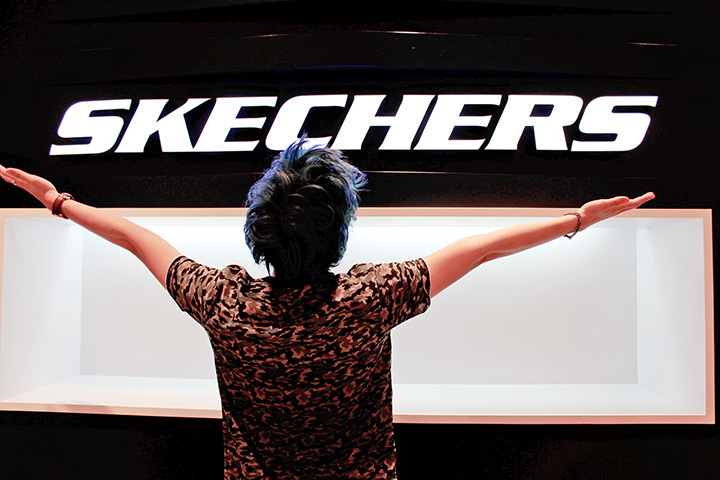 And follow SKECHERS Singapore Instagram account: http://instagram.com/skecherssg. 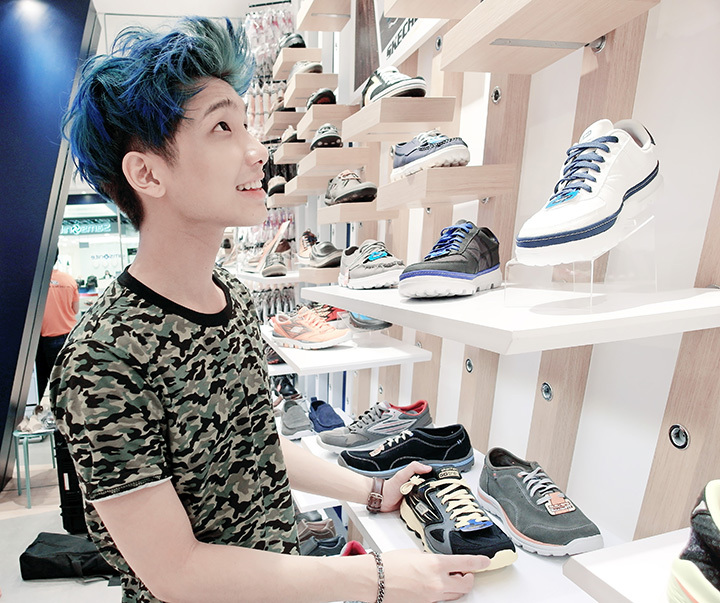 Also don’t forget to “LIKE” them on facebook too: www.facebook.com/skechers.singapore. 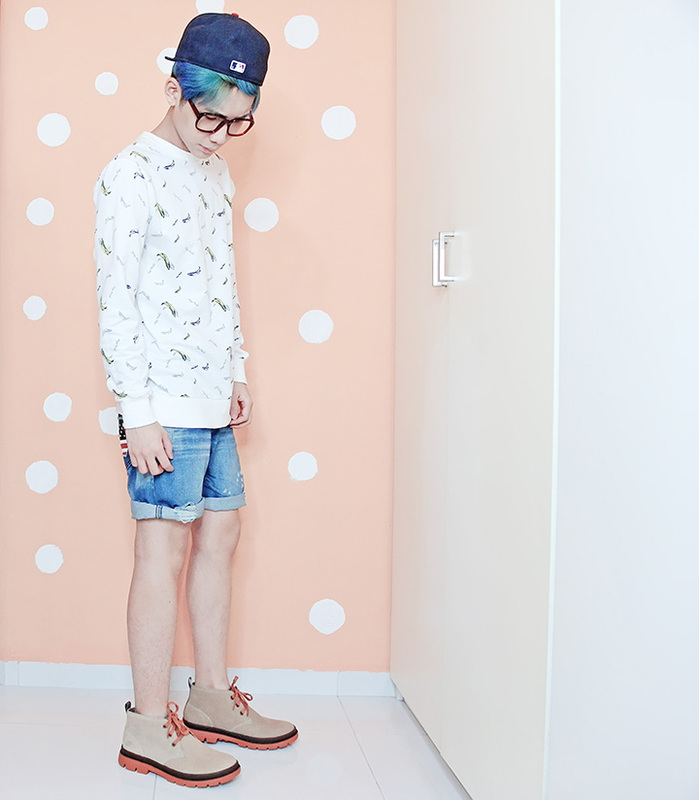 awesome camo print tee that you're wearing. may I know where you got it from? if it's sold online do they ship overseas?